Iain joined the Hartree Centre in June 2017 as Technical Programme Manager for the Innovation Return on Research (IROR) programme. IROR is a 5 year joint research and development programme with IBM Research, aiming to produce an 18-24 month competitive advantage for UK industry, and to develop digital assets which can be exploited as part of other Hartree projects and collaborations. Iain is also studying a part-time PhD programme in Physics at University of Edinburgh, developing the Molecular Integration Simulation Toolkit. From 2008 to 2017, Iain worked at EPCC, specialising in performance analysis and optimization of HPC applications. He collaborates with a range of researchers around the UK and Europe in fields as diverse as Computational Chemistry, Mathematics, Fluid Mechanics and Biomechanical Engineering, developing scalable software to allow researchers to harness HPC resources such as HECToR and ARCHER - the UK National HPC Services - and the European PRACE infrastructure. Most of his work has been in the area of Atomistic Simulation, and he is a developer on the CP2K project - a powerful program enabling Density Functional Theory and other atomistic modelling techniques to be applied a diverse range of systems using tens of thousands of CPU cores at a time. Prior to joining EPCC, Iain earned a First Class BSc. (Hons) in Computer Science & Physics from Edinburgh University in 2005 before spending two and a half years working for IBM on SAN storage virtualization. In his limited spare time, Iain enjoys ultra-marathon / trail running and is an avid space exploration and research enthusiast. IROR - Innovation Return on Research is a 5-year collaborative research programme between STFC and IBM Research, with the goal of providing an 18-24 month competitive advantage to UK industry and developing a range of digital assets which can be deployed in future projects at the Hartree Centre. The programme engages with a wide range of companies in the broad areas of Chemistry, Life Sciences and Science, Engineering and Manufacturing. MIST - Iain is studying part-time towards a PhD in Physics, supervised by Prof. Graeme Ackland and Prof. Ben Leimkuhler at the University of Edinburgh. The focus of the project is to develop the Molecular Integration Simulation Toolkit (MIST) - a software library which provides an API to several Molecular Dynamics codes, allowing simpler development of new integration algorithms for MD while still achieving good performance. PrimeGrid - a volunteer computing project which promotes mass participation in the solution of mathematical problems, as well as finding very large - million digit - prime numbers. CP2K-UK - an EPSRC-funded project to improve the usability of CP2K, support the growth of the CP2K user and developer community in the UK via networking activities, improved software engineering, and new algorithm development. Iain leads the work, in collaboration with KCL, UCL, University of Lincoln and EPCC, in addition to many more group involved in the wider network. ARCHER eCSE: MIST - developing an MPI-parallel version of the Molecular Integration Simulation Toolkit. TPLS - collaboration with Dr. Prash Valluri (UoE Engineering) and Dr. Lennon O Naraigh (UCD) to implement more scalable solvers in their TPLS (Two-Phase Level Set) fluid dynamics code, which models the interface between two phases of a fluid using ultra-high resolution DNS. Various funding sources including HECToR dCSE / ARCHER eCSE, EPSRC grants and Impact Acceleration funding. Iain is a member of the Edinburgh Fluid Dynamics Group. ARCHER - the new UK National HPC Service based on the Cray XC30 platform. Supporting CP2K usage and acting as liaison to the UK Materials Chemistry HPC Consortium. MSc in HPC - teaching Fast Fourier Transforms as part of 'Parallel Numerical Algorithms' and supervising dissertation projects. EPCC Outreach - taking EPCC to other departments, universities and science fairs (e.g. British Science Festival, Bang Goes The Borders). Developing publicity videos for EPCC projects. Iain is a STEM Ambassador and part of the RSE@Schools programme. ExTASY - we are developing an "Extensible Toolkit for Advanced Samping and analYsis" to couple novel algorithms for large time-step molecular dynamics, advanced analysis tools, and large scale ensemble calculations in order to overcome the Grand Challenge of effective sampling of complex macro-molecules. Funded jointly by EPSRC and NSF, the project team comprises Rice U., Rutgers U., Duke U., U. of Edinburgh, U. of Nottingham and Imperial College London. CP2K-NSF - supporting UK-US project led by Prof. Ilja Siepmann (University of Minnesota) and Dr. Ben Slater (UCL) to develop new Monte Carlo methods in CP2K to allow the study of reactive phase and sorption equilibria. ARCHER eCSE: LAMMPS - working with Prof. Jon Essex's group to implement their ELBA dual-resolution forcefield into LAMMPS. 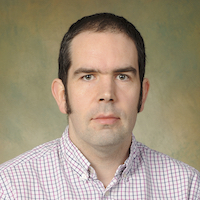 NAIS - as part of the Centre for Numerical Algorithms and Intelligent Software, Iain developed improved programs for primality testing using auto-tuning and accelerator hardware. PRACE - as part of the Applications work package of PRACE, we are porting and optimisng CP2K for the Intel Xeon Phi co-processor architecture. Three previous projects under PRACE have also extended mixed-mode OpenMP parallelism in CP2K, and developed an auto-tuning framework for key computational kernels, to support efficient massively parallel MP2 calculations on the PRACE Tier-0 HPC resources. Novel Asynchronous Algorithms and Software for Large Sparse Systems - an EPSRC-funded collaboration with Universities of Manchester, Leeds, Hull and Strathclyde to develop the next generation of methods for solving linear algebra problems with billions of unknowns using tens of thousands of CPU cores. HPC Simulations of complex solids and clusters using static lattice techniques - EPSRC Software Development project with UCL and Curtin University (Australia) to integrate GULP, the 'General Utility Lattice Program' with a new controller code in order to support a wide range of materials science applications. ChipSHOP - a collaboration with biological scientists and engineers from Heriot-Watt and Edinburgh Universties formed as a result of winning the Heriot-Watt Crucible in May 2012 to develop software for in-silico design and optimisation of micro-fluidic devices for applications in separation of biological fluids such as DNA/blood plasma, and cells/buffer solution. TEXT "Towards EXaflop applicaTions" - an EU FP7 research project exploring the use of the MPI and SMPSs as a hybrid programming model to allow high productivity and efficient use of current and future HPC architectures. Commercial Projects - optimised use of FFT in a key code for a Scottish Oil & Gas services SME. HECToR dCSE: VOX-FE - implemented parallel I/O for improved scalability and performance. HECToR dCSE: Quantum Espresso - modified FFT schemes for SMP cluster systems. ACE "Architecture Comparison Exercise" - benchmarking and performance analysis on 5 representative UK codes on a range of HPC architectures, to understand the links between hardware characteristics and application performance. HPCx - supporting the 'Complementary Capability Computing' initiative: parallel visualisation, interactive MD, job submission portlets. AP26 - Programs for finding large chains of primes in arithmetic progression. Developed by Bryan Little and others, and used by PrimeGrid. BOINC - the Berkeley Open Infrastructure for Network Computing. Used by PrimeGrid and many other projects. CP2K - Highly scalable, modular, open source molecular dynamics program, featuring wide range of force evaluation methods including classical potentials, linear scaling DFT, Hartree-Fock, MP2 and GW. Large, distributed developer community led by Prof. Joost VandeVondele (ETH Zurich) and Prof. Jurg Hutter (University of Zurich). GCWSieve - Fixed-b sieving code for Generalised Cullen and Woodall numbers n*b^n+/-1. Originally developed by Geoffrey Reynolds, maintained and update for PrimeGrid's current GCW prime search. Genefer - Programs for finding large Generalized Fermat Primes. Developed in collaboration with Yves Gallot and various others from the PrimeGrid project. LAMMPS - the Large-scale Atomic/Molecular Massively Parallel Simulator, a classical molecular dynamics code. LLR - A program for perfoming efficient LLR, Proth, N+/-1 and similar tests on x86 CPUs. Developed by Jean Penne and used by PrimeGrid. BOINC wrappers for LLR provided by Iain Bethune. PRPNet - A client/server application for prime search projects, developed by Mark Rodenkirch and used by PrimeGrid. TPLS - CFD software for ultra-high resolution DNS of turbulent two-phase flows, developed by Dr. Prash Valluri and Dr. Lennon O Naraigh. Quantum Espresso - Popular suite of open source codes for materials science. Mainly developed in Italy (DEMOCRITOS, SISSA, CINECA). VOX-FE - Finite Element Analysis software for voxel data sets. Targetted at mechanical properties of bones. Developed in collaboration with Prof. Michael Fagan's group at University of Hull. 2005 - 2008 Software Engineer, IBM United Kingdom Ltd.